The "Foeda" is one of Ser Jacopo's unique shapes, and it's unique for more than one reason. 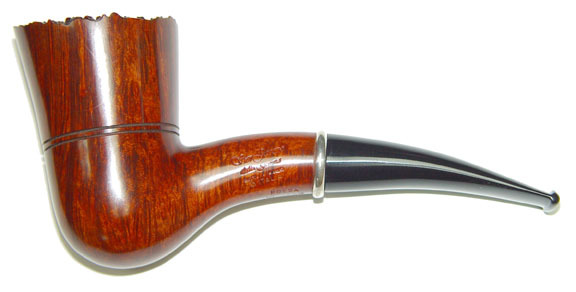 While usually smoked as a bent, the stem can be rotated and transformed into a straight briar! Can't make up your mind...no problem. This Foeda has a bit of freehand style with its plateaux top. This pipe is an Emerald grade with sterling silver band.